Christmas is a joyous time. 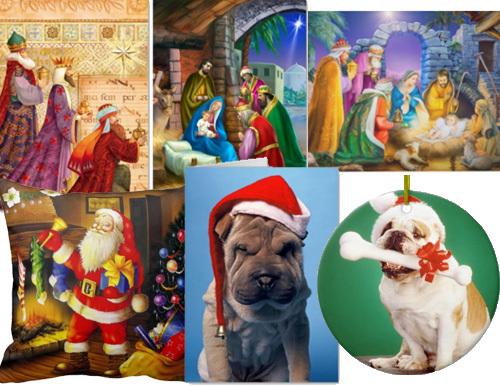 Giving out that perfect greeting card or special custom gift that they will always treasure is what you will find on Christmasparadise and patrickhoenderkamp shops on Zazzle. Discover the huge line of cute and funny, religious, Santa Claus, Christmas cards and other gifts like pillows, ornaments, pin-back buttons, stickers and more. Below are nine card and product items found in these gift shops.